You’re probably here because you are starting a public lighting project that you’re sure will cost an arm and a leg and you need to find the best coupons to clip in order to appease the powers that be. Put away the scissors and Sunday morning ads. Greenshine is here to quell thoughts that public lighting will be too expensive for your budget. The secret is in solar street lighting, and if you’d like to reduce your bills in installation, trenching, and energy, we can help. Read further! Why Does Lighting Hit the Wallet So Hard? There are a number of factors, some of which we’ve been able to eliminate. A lot of money is often required to trench into the ground to bury wires and connect to main electrical grids in order to power lighting fixtures. We’ve seen price tags as low as 4 dollars a foot and as high as twelve. Extra costs tack on sometimes since trenching might even need street or parking lot concrete broken up in order to bury wires. Plus, some public areas may need to be blocked off, creating unsightly areas for customers. The total cost of trenching is pretty high. Couple that with an energy bill from using inefficient lighting and you can easily see why footing the bill for a new lighting system can have outrageous costs. That’s why Greenshine New Energy is in the business of saving you money with solar street lighting. What’s in it for Me with Solar? Solar power doesn’t just reduce bills, it removes some of them entirely. That 20-thousand-dollar add-on for the bill just to trench? Gone with solar. Lights needn’t be connected to any main power grid, so rest assured that the savings are up front. A favorite story of ours is when we saved a company over half a million dollars just by providing a solar solution. We’re sure they were happy about saving more money. It’s one of the reasons why we’re in the solar business; reducing bills and increasing smiles. That’s specifically why so many businesses, municipalities, cities, and even government entities are getting off the grid. We won’t hide facts. Solar energy is directly dependent on the sun, so on an overcast day with a blanket of clouds the panels won’t pull as much power. However, we’ve tested several technologies and know that mono-crystalline solar panels are some of the most efficient panels on the market. The technology continues to grow every day, so the energy pulled from the sun will be significant. Even on an overcast day, there’s light to pull. Street lighting powered by solar panels will last a week on average. The darkest of days still provide energy to fuel LED lights, so rest assured that your stored energy will last you awhile. Greenshine has combined 30 years experience in solar knowledge and we put it to use every day to save companies money. Impress your boss with a shorter receipt and a streamlined budget. You may even get attention from the news about using cleaner forms of energy. Who knows, maybe you’ll have enough room in the budget to hire a catering service for your entire office in celebration of finding the best ways to reduce costs. We just hope we’re invited too. Contact us to find out how you can save more green with Greenshine or browse our applications page to see what kind of lights we manufacture. Many folks may be wondering what the benefit of solar lighting projects for businesses may be. It’s not very apparent to the public when a company goes solar to light their businesses and public lots. We have a few reasons listed here why solar is better for everyone! It’s all through the power of light. How Does a Solar Lighting Project Benefit You? It’s quite simple, actually. Think about the bottom line of a business. In order to make money, a business is required to spend money. But often times the business can cut corners and find solutions that don’t require top-dollar investments. That’s one of the reasons why our solar lighting company, Greenshine New Energy, has fully invested in lighting for business–less money is spent on lighting projects and more money is saved towards other business aspects, passing the savings onto the consumers. We’ve had such huge success in the past saving businesses and cities money that we’ve had customers plan to purchase more projects for further lighting solutions. It’s almost as if solar lighting projects are trending for businesses! We’re pretty certain that’s the case these days. How Does a Business Benefit from Solar? Solar lighting companies benefit the business by installing lights that require no power grid connectivity. Each light operates independently from the power of the sun. What’s better is there are even portable solar lights available so companies can move them from place to place to use them however needed! We once saved a company over 500 thousand dollars because they avoided trenching to bury electrical wires, and the savings continued because they had no energy bill to sustain the lights! That saved dollar passes on to everyone, improving the economy and even reducing the carbon footprint. We’re Greenshine New Energy, a solar lighting company that saves corporations the money they need to succeed. A successful company passes the savings onto their products and services, which in turn benefit the consumer. In addition to saving businesses several thousands of dollars, we reduce carbon footprints–it’s a welcome side-effect to going off the grid! We’re making strides to fattening wallets in the lighting industry. If you have a solar lighting project on the horizon, feel free to contact us and learn more. Thanks for reading! It’s been a long time in the making–over 150 years, in fact–to see solar energy efficiency rise and the price of it to drop. You can take advantage of this if you’re planning on solar lighting for a parking lot or similar project where you need self-sustainable, independent power to light an area. Initial prices may be favorable towards traditional, on-grid lighting, but the money saved beyond day one beats out the pricing for traditional. 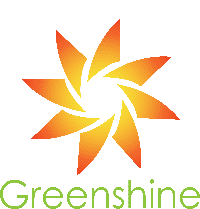 We’ve had success stories where the client who chose Greenshine saved 50 thousand dollars up front by avoiding trenching. That’s a lot of money to put towards other projects! We like to brag a little when it comes to using renewable energy sources–so feel free to brag as well when you install your solar lighting for a parking lot that you’re the “greenest” on the block. Join the newest generations in the push to go green and skip burning coal or fuels–the Earth thanks you! That’s just one of the reasons why the debate between solar power vs fossil fuels is over: there’s nothing to burn, only energy to take advantage of. We’ve heard nightmare stories of one lone wire getting struck, rendering an entire lighting system kaput. Other stories detail customers that need to spend 90 thousand up front just to bury wires for their new lighting. Avoid the pitfalls and find the cheaper solution that will stay on all night long: solar. Plenty of our clients in the past continue to communicate with us on more and more projects in the future. Solar is a growing trend we’re happy to be at the front of, and so we invite you to take a closer look at how switching can save you literally thousands of dollars for your lighting project. Contact us to learn more and see the real benefits. We’re sure many out “in the field” wonder if they can benefit from industrial solar street lights. It’s not always apparent to every business owner or project manager how solar can revolutionize energy costs. We’re here to “bring to light” some markets that can benefit from solar lighting and what that means. What’s for certain is all of them can save money. Probably the largest overlooked market for solar lights is indeed the military! In the past, we’ve solved several military-related problems of transportation, logistics, and general operations. One such previous case entailed a military convoy from Camp Villere delivering supplies across a bridge at night. The bridge was so distant that connecting any lighting to the “main grid” would have been overwhelmingly expensive. Industrial solar street lights came to the rescue and saved the camp a massive bill. Win one for Greenshine with Camp Villere! We’ve got a wealth of different commercial solar lights that benefit cities. Often times we have clients that have a problem of gigantic trenching bills that they can’t–or don’t want to–pay in order to establish power to new lights. They’re able to skip out on trenching and expensive bills by going solar. Solar lights, whatever the kind, rely on the power of the sun which is why they aren’t restricted to main power grids to fire up. We’ve got several thousand commercial solar lights in cities across the US–even in states where the sun doesn’t shine that often. Chalk it up to the ever-giving energy from Earth’s lamp in the sky. Truth be told, parks and recreational areas are high benefactors on our list for solar lights, too. Imagine you’re the project manager for your public park and you need an area lit that doesn’t have power connectivity. What’s there to do? Dig up the ground? Block off a section of the park and deny public access while you mess with the beautification of the area? Or should you go solar and skip all of the mess? Solar wins in this category, easy. Whether it’s industrial or commercial solar lights you need, we’ve got it in store, powered by the greatest energy source to the human race. Join the energy revolution that’s turning cheaper and more efficient by the day: solar power. We’re sure you’re aware of the best decision to make when it comes to light. Contact us to learn more.